The OECD released its latest Internet broadband data yesterday, covering the 34 OECD member states. The update emphasized wireless broadband access, comparing subscription rates across the OECD (many other aspects of the OECD data collection, including pricing and speeds, were not updated). 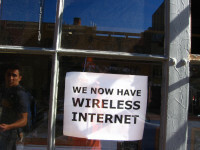 Wireless broadband has emerged in recent years as a critical method of Internet connectivity with consumers and businesses relying on mobile broadband, yet the OECD data has Canada ranking poorly for wireless broadband subscriptions when compared to the rest of the developed economy world (coverage from the Wire Report (sub req)). The OECD release comes one week after a CRTC sponsored report found that Canadian wireless pricing is among the most expensive in the G7 in every tier of usage. Seven countries, including Finland, Australia, Japan, Sweden, Denmark, Korea, and the U.S., have at least one subscription for every inhabitant. In Canada, the number drops to 53.3 subscriptions for every 100 inhabitants. That places Canada 24th out of 34 OECD countries.